Sources for Deborah Meyer's AMH 2010 course. 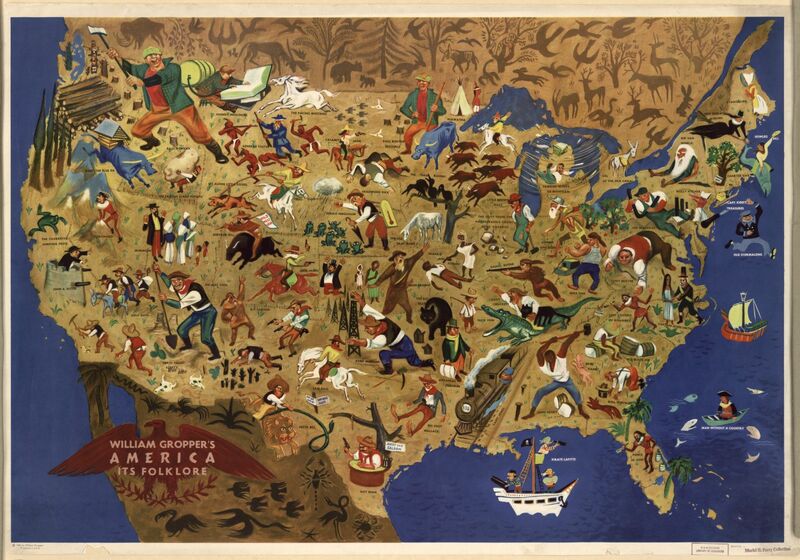 Folktales from all 50 states. Includes classics like Pecos Bill, Paul Bunyan, John Henry, and Johnny Appleseed, as well as more modern tales like Bloody Mary. Washington Irving's American classic about a man who falls asleep to wake many years later. Joe Harris' tales documenting the culture of the post-war South, including that of African Americans. Popularized by Disney's The Song of the South. The text of the ballad describing John Henry's race against a steam drill. This event is variously claimed to have occurred in Virginia, North Carolina, or Alabama. Early 20th century copy of the book by Otis T. Howd, Ray Cloice Howd, and Robert Marshall. Published in 1913, includes stories of Pecos Bill and others. 1915 work by Eleanor Atkinson about Johnny Appleseed as a romantic American hero. Designed for students, researchers and educators interested in all aspects of the humanities, this collection includes full text for more than 1,400 journals, with citations to over 3.5 million articles, including book reviews. Access back issues of core journals in the humanities, social sciences, and sciences. Over 700 titles available.